“Shiranui” Special Feature: Multiple New Cards Appear, That More Intensely Expand The Field Via Synchro Summons And Banishing! “Savage Strike” (on sale October 13th, 2018) includes many new cards for the “Shiranui” series! A Link Monster appears that supports the development of and protects Synchro Monsters and FIRE Monsters! Also, many new cards appear that support expanding the field, and the ability to deploy via Synchro Summoning and Banishing becomes more intense! Let’s check out their features here! A “Shiranui” Link Monster Makes Its Series Debut! A Link Monster appears!! Its Effects Strongly Support The Use Of Synchro Monsters! It Protects Synchro Monsters From Effect Destruction And FIRE Monsters From Battle Destruction!! Its Effect To Call Banished Allies Is Also Intense!! Synchro Monsters you control cannot be destroyed by card effects, also FIRE monsters you control cannot be destroyed by battle. During your opponent’s turn (Quick Effect): You can target 1 of your banished Zombie Synchro Monsters; Special Summon it to your zone this card points to. You can only use this effect of “Shiranui Splendidsaga” once per turn. New “Shiranui” Synchro Monsters Appear! Two Synchro Monsters Make Their Debut!! Fight With Effects That Support Battle And Seize The Opponent’s Field! A Level 5 Synchro Monster!! Its Effect Changes Monsters’ Battle Positions And Also Calls A Token To Further Play! You can only Special Summon “Shiranui Skillsaga(s)” once per turn. If this card is Special Summoned: You can target 1 monster on the field; change its battle position. If this card is banished: You can Special Summon 1 “Shiranui Token” (Zombie/FIRE/Level 1/ATK 0/DEF 0). You can only use this effect of “Shiranui Skillsaga” once per turn. Its Effect Fueled By Banishing Allies Is Intense!! If You Banish a FIRE Zombie Synchro Monster, You Can Achieve All 3 Effects!!! You can only Special Summon “Shiranui Spiritsaga(s)” once per turn. Once per turn: You can banish 1 monster from your GY or face-up field, then you can apply 1 or more of these effects, in sequence, depending on the kind of monster it was. ● Zombie monster: All monsters you currently control gain 300 ATK. ● FIRE monster: Destroy 1 Spell/Trap on the field. ● Synchro Monster: Destroy 1 monster on the field. “Shiranui” Monsters That Support Plays!! Three new “Shiranui” Effect Monsters appear!!! They have effects that support both Link and Synchro Summoning! A Level 3 Tuner Appears! Its Effect To Special Summon 2 Banished Allies Is Powerful!! Follow Up With Synchro And Link Summons!! You can Tribute this card, then target 2 of your banished Zombie monsters, including a “Shiranui” monster, except “Shiranui Spectralsword of Sunset”; Special Summon them in Defense Position, but their effects are negated, also you cannot Special Summon monsters for the rest of this turn, except Zombie monsters. You can only use this effect of “Shiranui Spectralsword of Sunset” once per turn. It Supports Synchro And Link Summons With An Effect To Special Summon Itself From The GY! If this card is in your GY, and you control 2 or more “Shiranui” monsters with different names: You can Special Summon this card, but banish it when it leaves the field. If this card is banished: You can target 1 Zombie monster you control; it gains 600 ATK until the end of this turn. You can only use each effect of “Shiranui Sensei” once per turn. When Normal Summoned, It Special Summons An Ally From The Hand or Deck! If It’s Banished, You Draw 1 Card And Discard 1 Card! When this card is Normal Summoned: You can Special Summon 1 “Shiranui Spectralsword” monster from your hand or Deck, also you cannot Special Summon monsters for the rest of this turn, except Zombie monsters. If this card is banished: You can draw 1 card, then discard 1 card. You can only use each effect of “Shiranui Spearitualist” once per turn. New “Shiranui” Spells & Traps Also Appear! Spell & Trap Cards that support moves for “Shiranui” appear! Notice that besides supporting “Shiranui”, they also tend to support the Zombie Type in general! A Powerful Quick-Play Spell Card Discards A Zombie From The Hand To Special Summon An Ally From The Deck or GY! If your opponent controls a monster: Discard 1 Zombie monster; Special Summon 1 “Shiranui” monster with a different name from your Deck or GY, also for the rest of this turn after this card resolves, you cannot Special Summon monsters, except Zombie monsters. You can only activate 1 “Shiranui Story Saga” per turn. A Continuous Spell Treated As “Shiranui Style Samsara”! Aim For Combos With Its Effects That Ensure Plays Or Trigger The Effects Of Allies!! This card’s name becomes “Shiranui Style Synthesis” while in the Spell & Trap Zone. Once per turn: You can activate 1 of these effects. ● Banish 1 Zombie monster from your GY; Normal or Special Summons of your Zombie monsters cannot be negated for the rest of this turn (even if this card leaves the field). Besides Special Summoning Zombies From The Hand, But It Also Has An Effect That Activates In The GY That Protects Zombies! Special Summon 1 Zombie monster from your hand, but banish it when it leaves the field. You can banish this card from your GY, then target 1 Zombie monster you control; that Zombie monster is unaffected by card effects this turn, except its own. You can only use 1 “Shiranui Style Skill” effect per turn, and only once that turn. You can choose to experience either the “T.G. 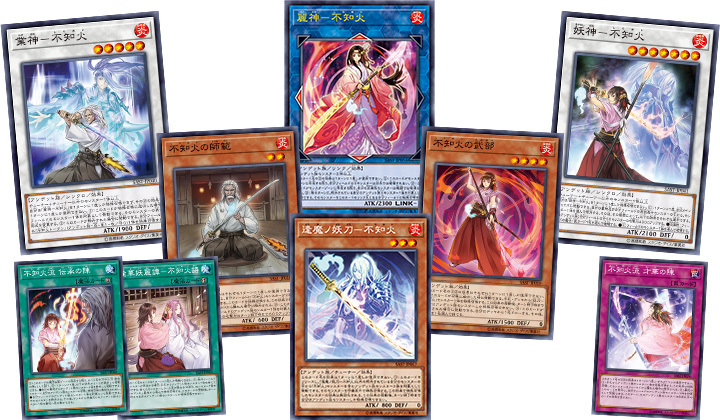 (Tech Genus)” or “Shiranui” Decks! Participation is free, and before Dueling those participating will get a lecture on how to play the Deck from the staff! ▼ An Experience Event where you can Duel with Decks containing the latest cards before they’re released! It of course includes cards that appeared in the “Yu-Gi-Oh! VRAINS” animated series, but 3rd core booster for the 2018 fiscal year contains vital cards for all Duelists! Playmaker, who uses the Cyberse, obtains a new Synchro Monster! As well, cards that support Synchro Summoning are included! Also, enjoy the brand new Card Series and new cards for previously popular Card Series!